As of Tokina 12-28mm f/4.0 AT-X Pro DX Lens review time, Tokina offers 4 ultra-wide angle zoom lenses (plus a fisheye zoom). Two of the four rectilinear lenses, including the 12-28, are DX models designed to fit APS-C (only) DSLR cameras and two are FX models designed for all DSLRs including full frame sensor format models. In each of those model lines, one ultra-wide zoom has a more-limited focal length range, a wider widest focal length and a wide max f/2.8 aperture over the entire focal length range, while the other model has a more-generous focal length range and a lower price, but a 1-stop narrower/slower f/4 max aperture. As you have likely have already identified, the 12-28 is the latter model in the DX lineup. Put the two DX lenses side-by-side (above) and you are going to have to read the label to know which lens is which. They are practically identical in exterior design. While 12mm is the longest focal length found at the wide end of lenses in this class, the 28mm focal length found at the long end of this lens' range is the best-available/longest by 4mm. My choice for this lens would be for a shift toward wider angles as most APS-C general purpose lenses have the 18mm and beyond range adequately covered, but 12mm is still very wide and 28mm is nice to be able to used without a lens change. That this lens has focal lengths shifted toward the longer range makes it a better option for general purpose use than the other ultra-wide zooms. 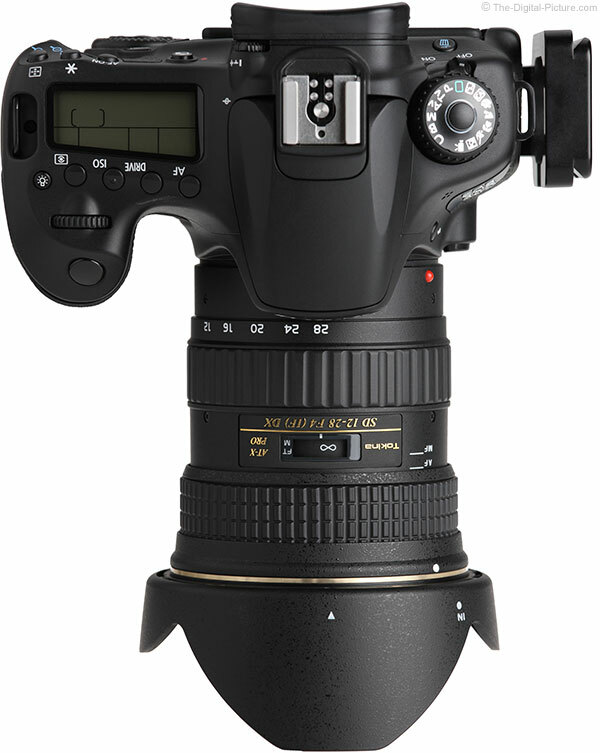 The 12-28mm focal length range used on an ASP-C/1.6x FOVCF sensor format DSLR results in 19.2-44.8mm full frame angle of view equivalent. Here is an example of what this focal length range looks like. The normal ultra-wide angle subjects are the ideal targets for this lens. These include landscapes and confined space images of practically anything. Ultra-wide angle lenses are very fun to use and, with good composition, these lenses can deliver remarkable images. Keep in mind that built-in flash coverage on most DSLRs will not cover the lower range of this lens' angle of view, so plan on an alternative method of flash lighting/diffusion if planning to use flash with this lens. An accessory flash, potentially with a diffuser, will handle this task nicely. The Tokina 12-28mm f/4.0 AT-X Pro DX Lens has good image sharpness across the frame at 12mm and shows little improvement when stopped down. Image sharpness slowly degrades across the entire frame with focal length increase until 28mm where this trend levels off or very slightly reverses itself. From 20mm through 28mm, a noticeable improvement in sharpness can be seen by stopping down to f/5.6. Stopping down to f/8 results in negligible sharpness improvement. Even stopped down, this lens delivers only average image quality, though not remarkably different than most of the other lenses in this class. Notably sharper is the Tokina 11-16 II at 12mm with equivalent apertures, though these two lenses perform more similarly by 16mm. Showing a moderate amount of CA (Chromatic Aberration) in the mid and peripheral image circle at all focal lengths, the Tokina 12-28mm will add some color to your images. Uncorrected, the CA will detract from image sharpness. While not completely distortion-free, the Tokina 12-28mm lens performs particularly well relative to similar lenses in this regard. Modest pincushion distortion is present at 12mm, but distortion is negligible throughout the 16-28mm focal lengths. This performance will prove beneficial for images with straight lines near the frame borders, where distortion is most easily noticed. At 12mm, the Tokina 12-18 shows a modest 1.5 stops of vignetting in the corners with a wide open f/4 aperture. Vignetting diminishes to about a barely-noticeable-in-real-life 1 stop in 28mm f/4 corners. Narrow the aperture by one stop (to f/5.6) and peripheral shading decreases by approximately 1/2. Only slight shading reduction is realized by stopping down to f/8 vs. f/5.6. Shading added by a normal thickness UV filter is negligible at 12mm, though a normal thickness circular polarizer filter adds just slightly more vignetting. 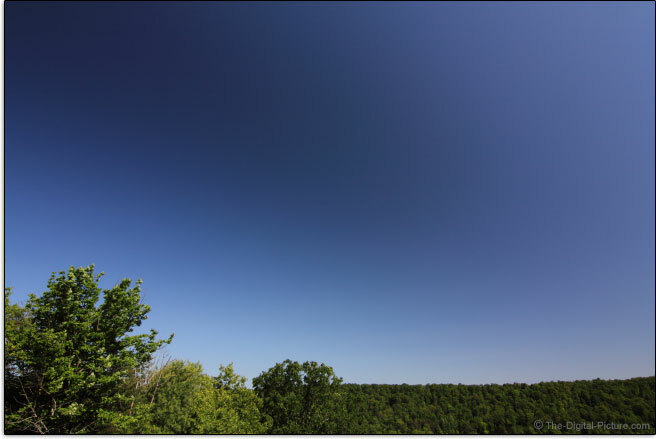 I recommend using a slim CPOL filter version on this lens, but note that a CPOL filter used at ultra-wide angles can create a strong gradient/unevenness, especially in the sky with a low sun as shown in the 12mm example below. While the Tokina 12-28 shows only a modest amount of flare over most of its focal length range, it shows a strong amount of flare at 12mm. The 12-28 has a 9-blade aperture, but don't look for this lens to create a significant amount of background blur in most images – even with a wide open aperture. 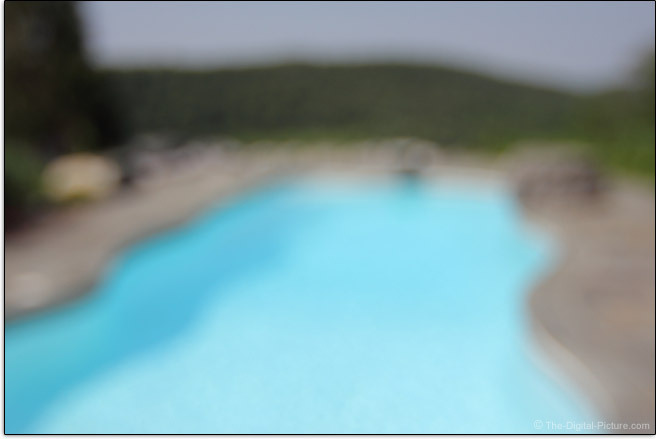 Here is a max-blur example created using the longest focal length (28mm), the widest aperture (f/4) and a very distant background. I can still make out the shape of the trees on the hillside nearly a mile away. While I'm not ready to call the new technology ground-breaking, I do see some AF improvements in the Tokina 12-28mm f/4.0 AT-X Pro DX Lens' AF system including a reasonable speed and lower noise during long focus distance changes (compared to the 11-16 II). 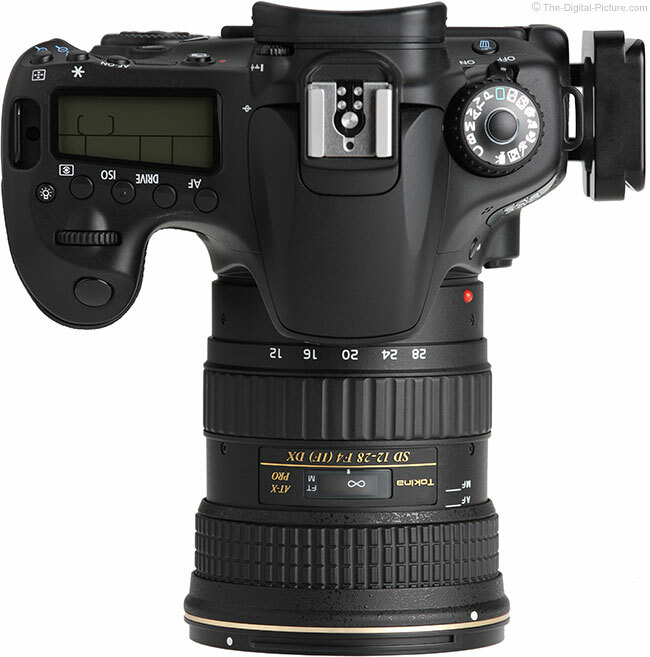 Delivering a relatively wide depth of field, the Tokina 12-28 is not the most AF accuracy-challenging lens available. Unfortunately, my review lens (a retail version) does not focus accurately as consistently as I would like at the 12mm end and backfocusing is the normal result I'm seeing at all focal lengths. This lens, like the Tokina 11-16 II that I evaluated at the same time, needs to be sent to service for recalibration – or used on a DSLR with the AFMA feature. This is an internally-focusing lens. FTM (Full Time Manual) focusing is not available in the Tokina 12-28mm f/4.0 AT-X Pro DX Lens, but the focus ring does not turn during autofocusing. Unique to Tokina is the "One-touch Focus Clutch Mechanism". The Tokina 12-28 utilizes a push/pull focus ring clutch to shift into and out of manual focusing mode (there are no other switches on this lens). As I've said before, Tokina's MF clutch system is not my favorite design. When pulling rearward on the focus ring to engage MF mode, the gear teeth must be aligned. When the gears do not mesh perfectly, the focus ring is inadvertently rotated a small amount with the shift process. If you autofocus and then switch to MF mode, the autofocus-set focus distance may not be precisely maintained. The ring shifting also results in a loud "snap" if you are not carefully avoiding this. Your wedding guests are going to hear the noise during the ceremony unless you exhibit this care. The manual focus ring is very smooth with no play and it has a relatively wide range of adjustment for an ultra-wide angle lens. Circular polarizer filter users will appreciate that the front filter threads on this lens do not rotate during focusing. Video shooters will also appreciate the lack of focus breathing – subject size and framing does not change with focus adjustment. This lens is very, very close to being parfocal (focus distance adjustment is not required after zooming) and this means that you can zoom during video recording without having to adjust focus at the same time. The Tokina 11-16 f/2.8 II lens I just reviewed has one of the lowest MM (Maximum Magnification) specs available, but the Tokina 12-28mm f/4 Lens has a best-in-class (a 3-way tie) spec of 0.20x. Having the longest focal length in the class is a major contributing factor this attractive number. A 0.20x MM is going to allow reasonably tight framing of larger flowers and there are many products that can be tightly framed at this reproduction ratio. 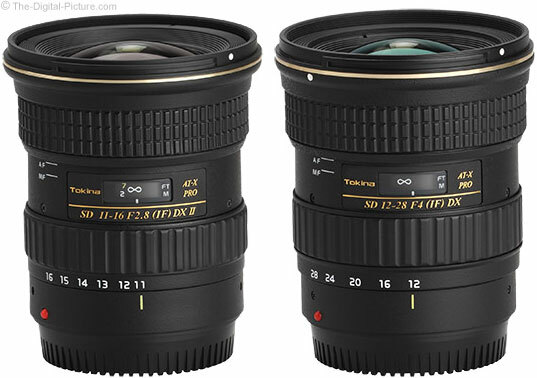 The 12-28 looks exactly like the 11-16 II, and they share identical build qualities as well. The plastic-constructed Tokina lens barrel finish is nice and the lens feels solid with much of the lens surface being rubber-coated ring. As I said before, there are no normal "switches" on the Tokina 12-28mm f/4.0 AT-X Pro DX Lens, but you can see the focus ring shift forward/rearward as you mouseover the labels above. Also notice that the front lens element extends and retracts slightly with the fully retracted focal length being in the 16-18mm range. 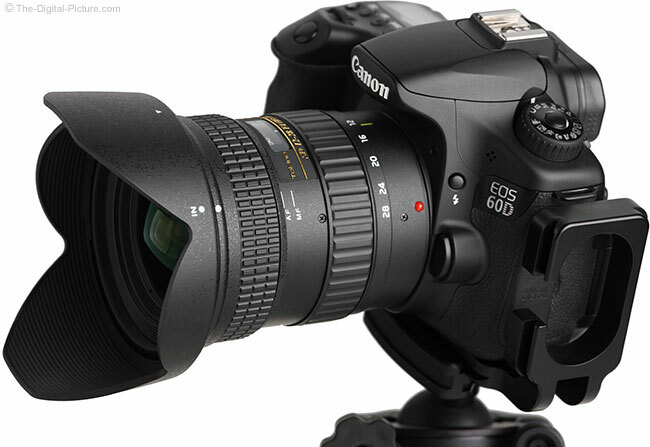 The adequately-sized, well-positioned and strongly ribbed zoom ring on this lens is very smooth, has a nice amount of rotation with no play and is modestly-tightly damped. 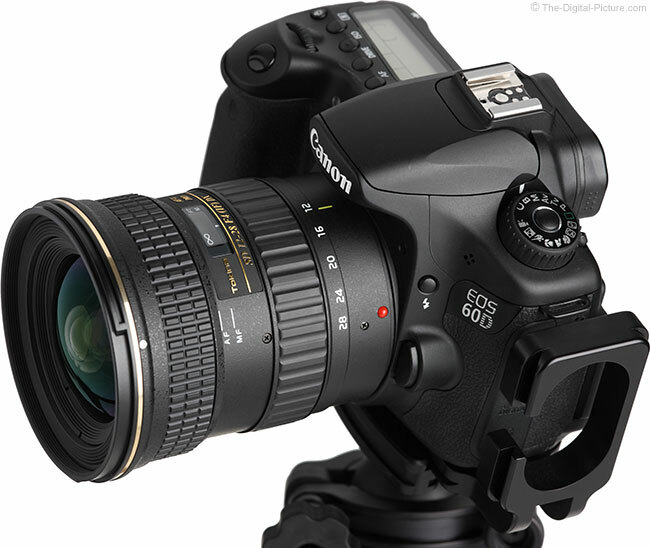 Standard for Tokina zoom lenses is that the zoom ring rotates in the same direction as Nikon lenses, opposite the direction of the Canon standard. 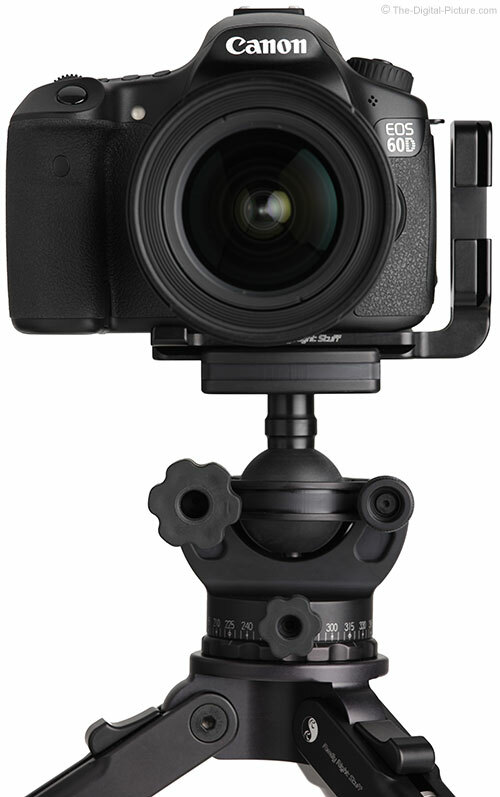 The zoom and focus rings are raised from the lens barrel and have different, but significant ribs in their rubber grips. Tokina does not talk about weather sealing in the press release for this lens, but with a lens mount gasket provided, at least some level of protection is apparently provided. This gasket is similar to the one found on the 11-16 II, and for that lens, Tokina says "Please note, the Tokina AT-X 116 PRO DX lens itself is not waterproof or water resistant". My advice? Keep this lens dry. The size and weight differences between this lens and its 11-16mm sibling are negligible. Both lenses are among the heaviest in their class, but neither lens is burdensome to carry or store. For many more comparisons, review the complete Tokina 12-28mm f/4.0 AT-X Pro DX Lens Specifications using the site's Lens Spec tool. 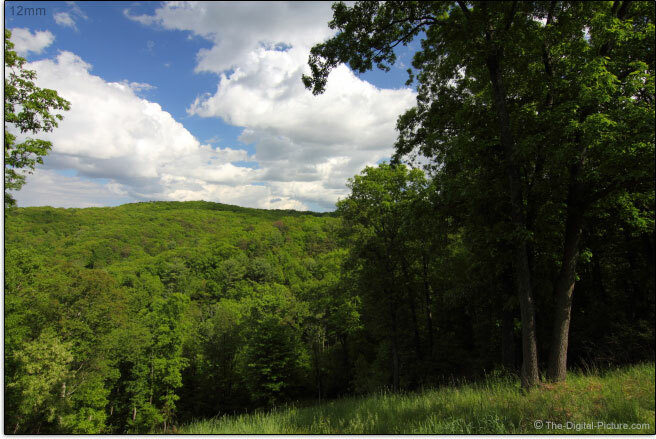 The 12-28mm lens' 77mm filter size (again, same as the 11-16 II) is a very common one. These filters are not small or inexpensive, but it is convenient to be able to share some filters among lenses from various manufacturers. The BH-77B lens hood comes standard in the Tokina 12-28 box. This is the same hood included with the Tokina 11-16mm II. Tokina does not include a lens case in the box. The lenses are shown small in these comparisons, but the fact that all are similar sized can be helpful to know for selection purposes, though the similar size of the lenses may complicate your selection process. Use the product image comparison tool to make higher resolution comparisons of any combination of these lenses. 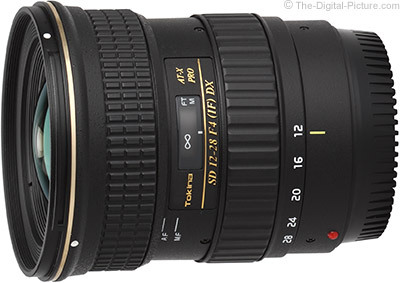 Sure to be one of everyone's favorite Tokina 12-28mm f/4.0 AT-X Pro DX Lens features is the price. This lens is priced at or near the bottom of its class. The ratio of the value this lens adds to a kit relative to the price tag is quite high. The Tokina 12-28mm f/4.0 AT-X Pro DX Lens is available in Canon (reviewed) and Nikon mounts. My standard disclaimer: There are potential issues with third party lenses. Since Tokina reverse engineers (vs. licenses) manufacturer AF algorithms, there is always the possibility that a DSLR body might not support a (likely older) third party lens. Sometimes a lens can be made compatible by the manufacturer, sometimes not. There is also the risk of a problem that results in the lens and body manufacturers directing blame at each other. Tokina USA's 3-year warranty is superior to Canon's standard 1 year warranty (Sigma's international warranty is also 1 year). The lens used for this review was a retail version ordered online. Selecting one of the APS-C ultra-wide angle lenses is one of the most challenging decisions of any lens class. There are lots of options with no major standouts. As just mentioned, price is perhaps this lens' biggest attraction. 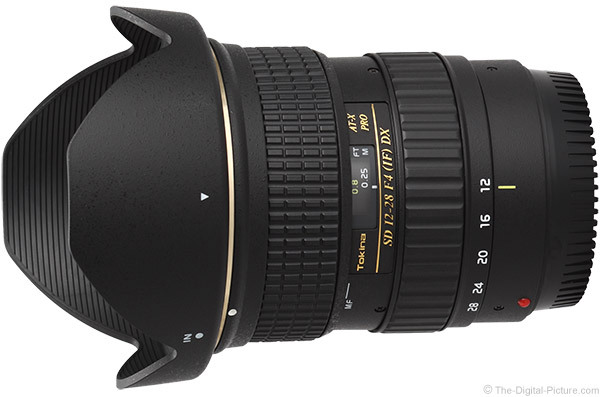 The Tokina 12-28mm f/4.0 AT-X Pro DX Lens gives you reasonable performance at a reasonable price.